This monogrammed red velvet table runner is crafted of ultra-plush velvet in rich, royal red—monogrammed with a single initial for added luxury. Dressing your holiday table or any table in classic style, the premium quality velvet table runner layers beautifully with other linens, and looks just as gorgeous on its own. Finished with white piping and monogrammed in elegant white script, it’s the ultimate keepsake gift. Specify 1 initial. 100% polyester spot clean. 72″ x 14″. Imported. Our personalized Santa Claus bottle wrap adds festive cheer to your gift of wine or spirits—personalized for one lucky recipient. 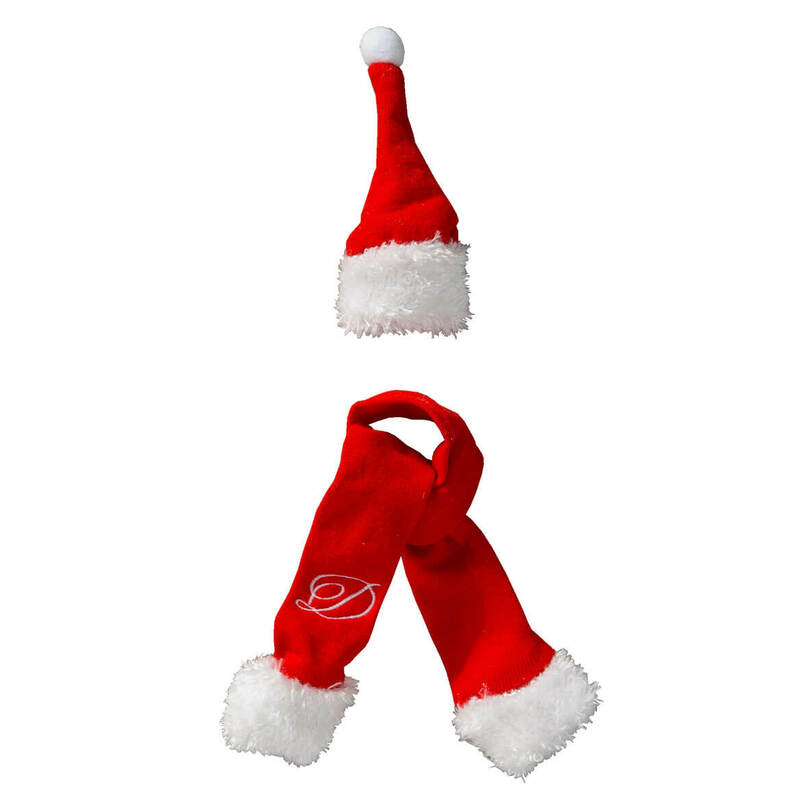 In bright holiday red with fluffy white trim, the knit Santa cap with attached scarf wrap around any bottle’s neck for spectacular presentation, making gift giving fun. An elegant monogrammed initial adds a truly thoughtful touch. Specify 1 initial. Wine bottle wrap measures 1 1/2″ wide. 100% polyester; imported. Tea for one is merry fun when Santa serves it! 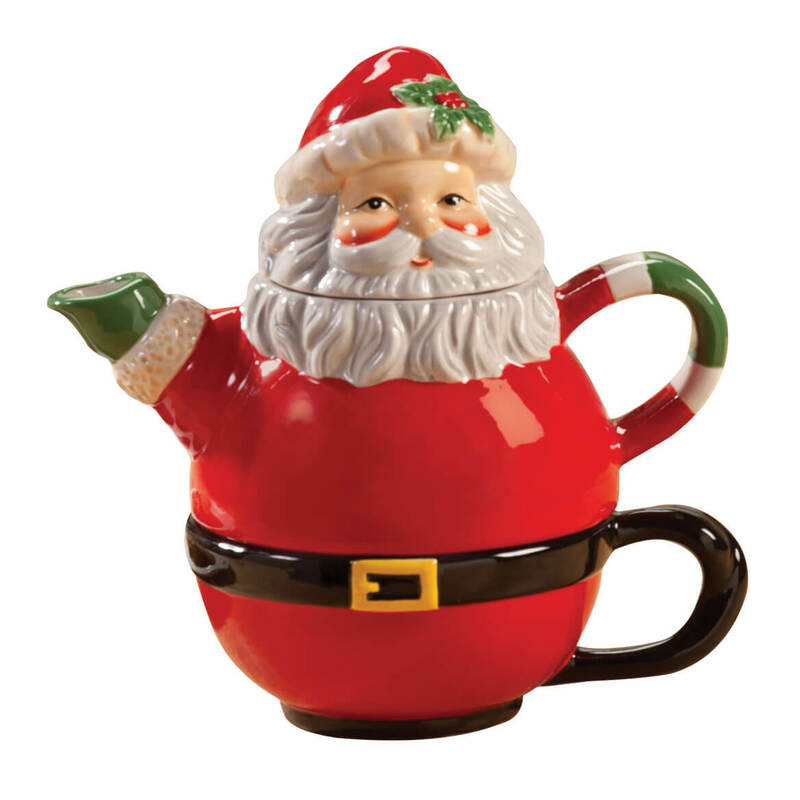 A bright pick-me-up for your holiday décor, our 3-in-1 Santa teapot for one is wonderfully detailed in shiny, handpainted ceramic. The cute, lidded teapot sits right on its cup—offering quick, easy serving for one. Hand wash. 7″ long x 4″ wide x 7 1/2″ high. 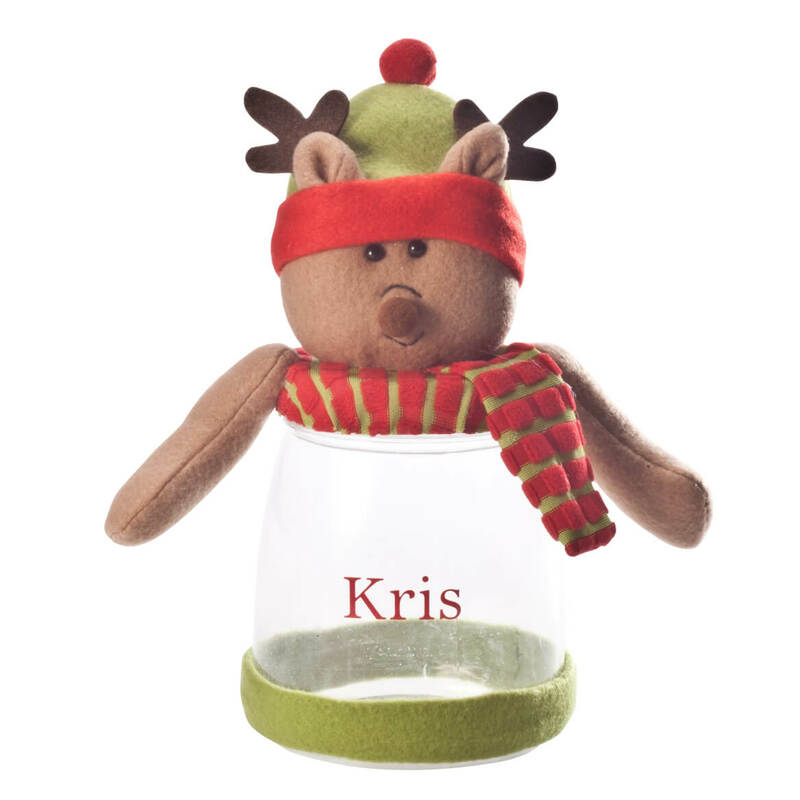 Add your own treats to this cute personalized reindeer jar for a gift the recipient will love now, display every Christmas—and always remember your thoughtfulness. Like a handcrafted treasure, the clear plastic jar’s screw-off lid is topped with an adorable felt reindeer’s head and dangling arms. We’ll add any name for a personal touch—you add the treats for a gift that’s extra sweet! Specify name; limit 1 line, 8 letters/spaces. Personalized jar measures 4 1/2″ wide x 9″ high. Fill this personalized Santa treat jar with their favorite treats for a gift the recipient will enjoy now, display every Christmas—and always remember your thoughtfulness. 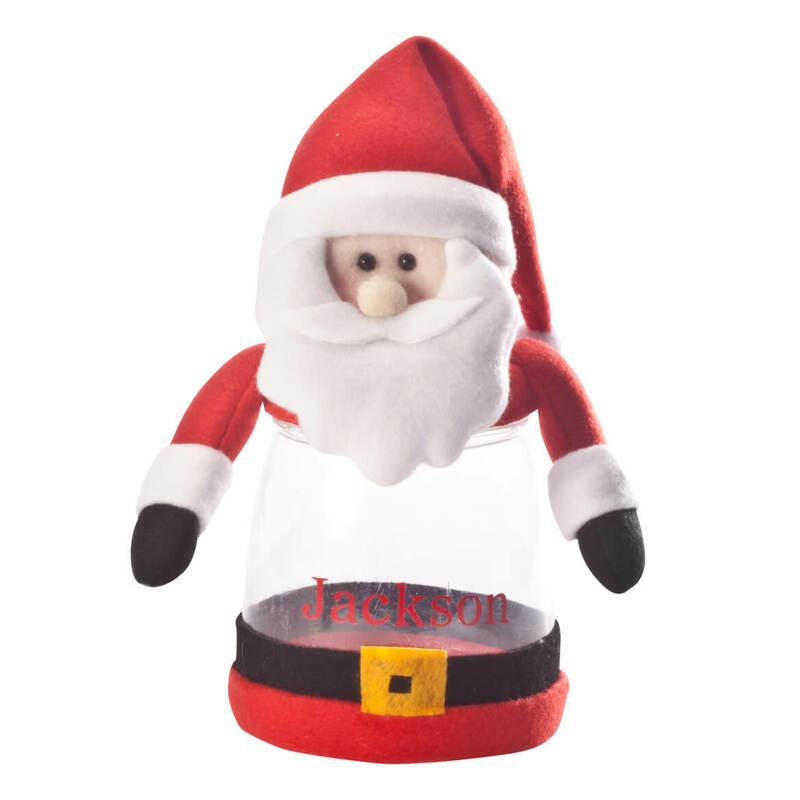 Boasting all the charm of a handcrafted treasure, the clear plastic jar’s screw-off lid is topped with a cute felt Santa head and dangling arms. We’ll add one special name for a personal touch—you add the goodies for a gift that’s extra sweet! Specify name; limit 1 line, 8 letters/spaces. Personalized jar measures 4 1/2″ wide x 9″ high. 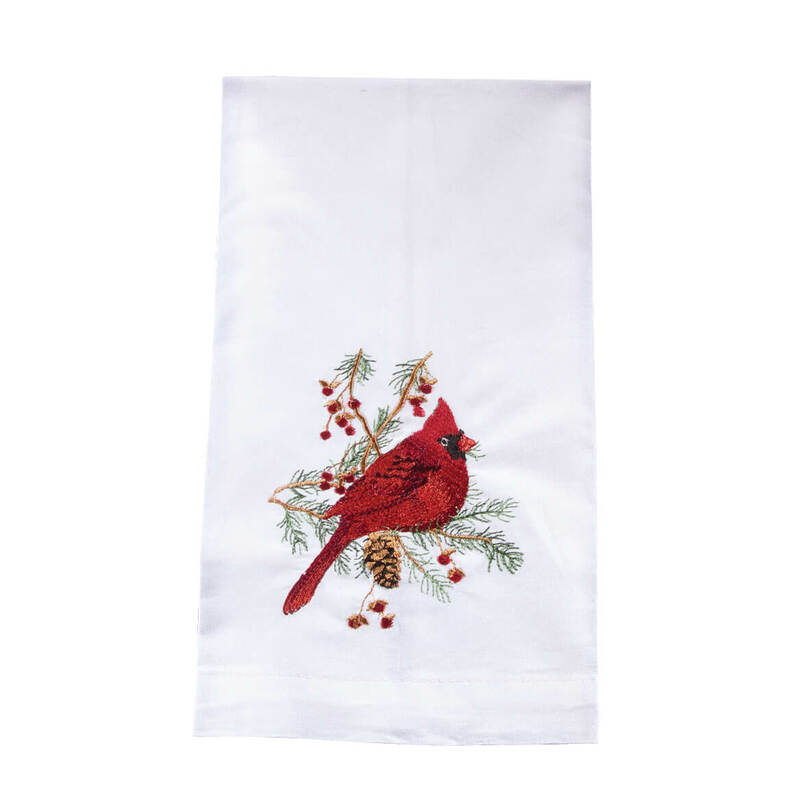 A bright embroidered cardinal adorns this flour sack Cardinal guest fingertip towel, giving your powder room or kitchen a pop of festive style. Decorative, functional and wonderfully versatile, the finger towel adds holiday charm to the guest bath, and its soft, absorbent cotton fibers make it a lovely kitchen tea towel—pretty enough for a bread basket liner, and a gracious holiday hostess gift. 100% cotton towel; machine wash. 14″ x 22″ Imported. Shining in handpainted ceramic, these adorable snowman couple ceramic cookie plates serve sweet little portions, making any occasion merry! 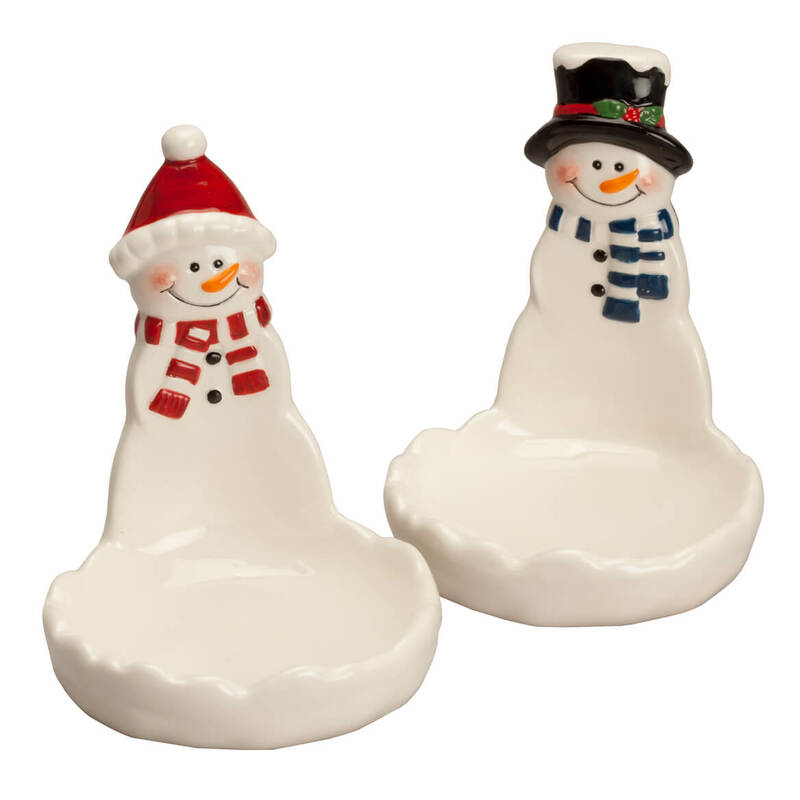 Exclusively designed with intricate details in artful 3-dimension, each snowman hosts his own 4″dia. ceramic plate—perfectly sized for a Christmas cookie or two, fancy nuts, favorite candies and more. Set one at each placesetting for individual desserts, or use them at the buffet, holding toothpicks, sugar cubes, olives or small condiment bowls. They also make festive tea light holders, cute little soap dishes … and thoughtful gifts! Food-safe 100% dolomite; hand wash. Set of 2 ceramic dishes. Each, 5 1/2″ high. Inspired by Santa’s merry red suit, these table accessories set a fun, festive tone for your holidays. 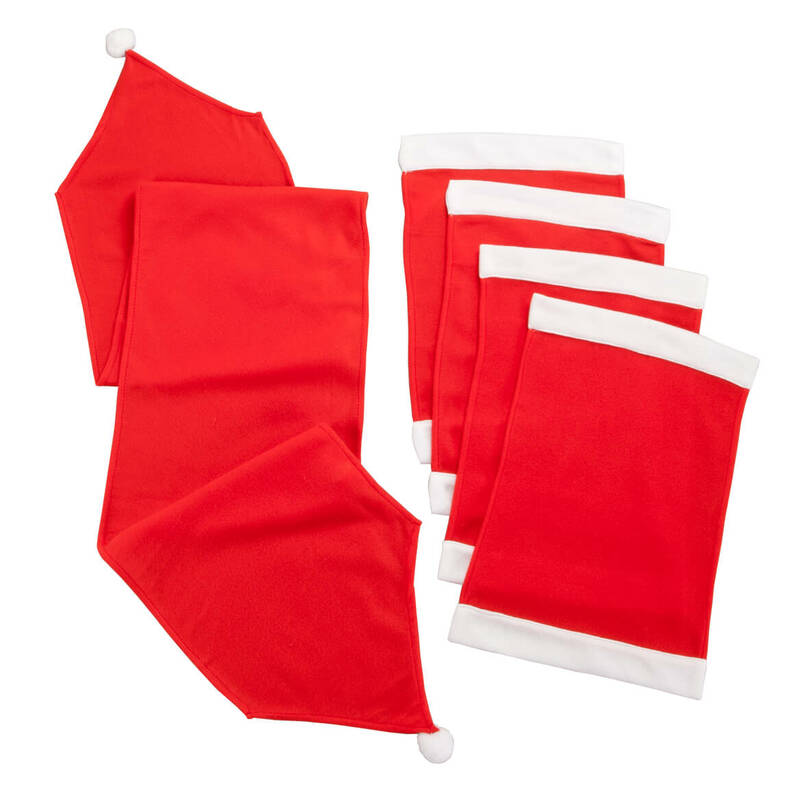 Designed in brilliant red with white trim, they offer a classic look you’ll love for many holidays to come. 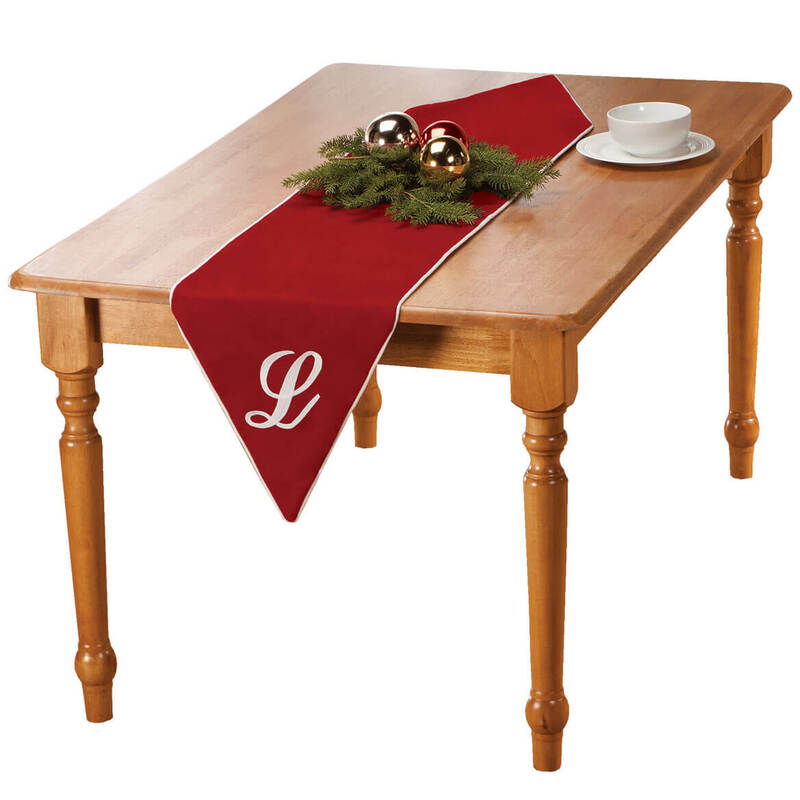 Red table runner: 13″ long x 72″ wide. Set of 4 fabric placemats: 13″ long x 18″ wide each. 100% polyester; machine wash cold. Imported.